Only one sale on Amazon this month! It has come to my attention that some people will not buy from Amazon. No worries, I am glad to sale to you directly, but I sell my book for $16, sometimes with a discount to $15, and unless I can give it to you personally, need to charge $4 for posting. Amazon ships free if you buy over $35 of qualifying stuff and discounts the online price from $12.99 to $11.68, or thereabouts depending on the day. They charge $3.99 for shipping if you don't meet the minimum. Meanwhile I did a reading at Larry Hatfield's open studio and several friends liked it enough to buy a copy. I want my book to bless people and encourage peace building. Take a look on Amazon and pick up a copy, from Amazon or by contacting me, and share it if it touches you. Plain Drink Tea has passed the 100 books sold mark! 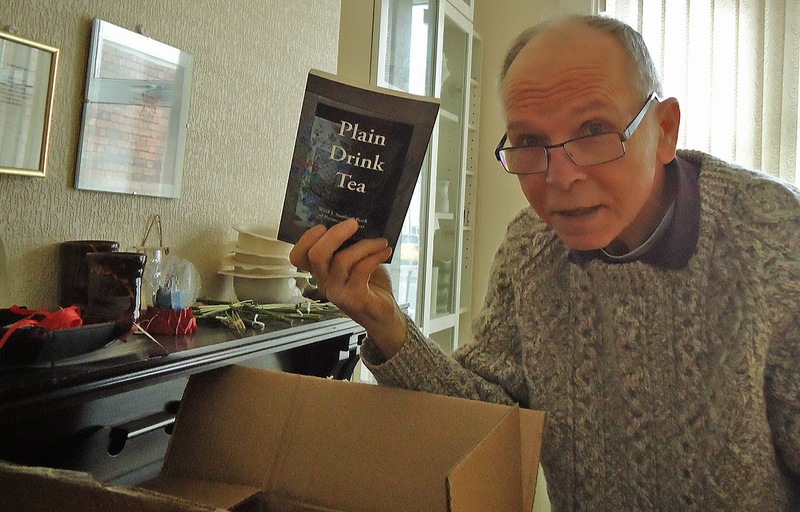 Thank you every one who has purchased a copy of Plain Drink Tea. Please read it. If you like it please post a review on Amazon or tell your friends. Marda and I will be presenting a brief introduction of the Northumbria Community, read some of my poems and summarize the past year spent in Belfast Northern Ireland, on 25 May at College Avenue Prebyterian Church, Oakland CA. This talk dovetails with Pastor Monte's series on mission with the topic of the week "Celtic Christianity" during the 10:30 worship hour. We will gather in the room in the back after noon for a 12:15 start. 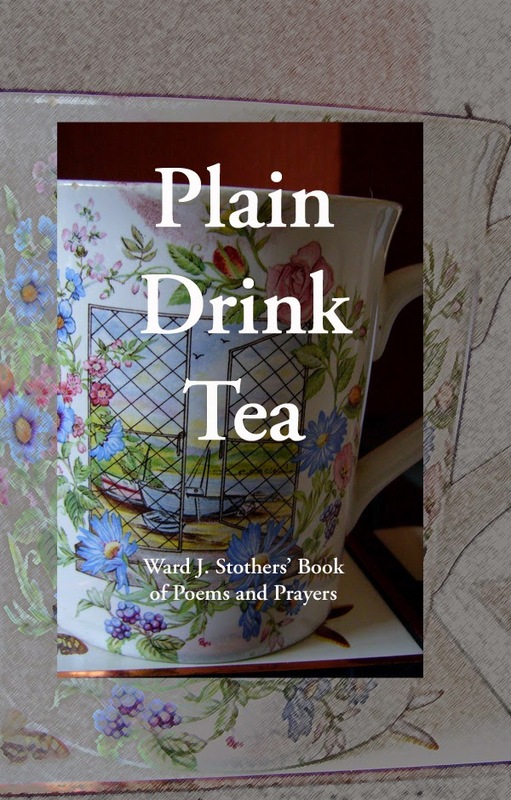 Plain Drink Tea, Ward J. Stothers' Book of Poems and Poetry is now available for Kindle, saving trees and making the work more portable. You can read it in bed without a headlamp. If you bought a paper backed book you are suppose to be able to get a Kindle version for $0.99 but I don't know how to check that offer. If someone gets that to work would you post a notice? Thanks for your interest and support. The proceeds from this book support charitable work to build the unity of believers to do no less than alleviate poverty and sustain world peace. Looking at multiple versions and proof copies on the iPad has caused the author to ask, who puts the cover on and stitches it together into a real book? The answer is some wonderful machines and souls in beautiful Charleston, South Carolina. His box of books arrived today and with it the satisfaction of a project completed. One is reserved, and Jon, Jenny, and the McCloskeys bought copies already. Two people said, bring copies to the meeting tonight and I'll take one. The book is published! The copies come to The Loom this week. A book launch is planned for 4 April in the Shankill Road Library hosted by Librarian Mark Knowles. The event will be blessed by Reverend Jack Lamb and moderated by Bill McKnight, author of Loud Silence. Thanks goes to my editor Ms. Carolyne Gibson. Thanks to Bill Jeffrey, literary agent, Lynda Tavakoli and the writers. Thanks to Evelyn Lee who assisted Marda with the initial manuscript. Mission workers from California now in Belfast N.Ireland. Coming alongside to enliven faith and build community.